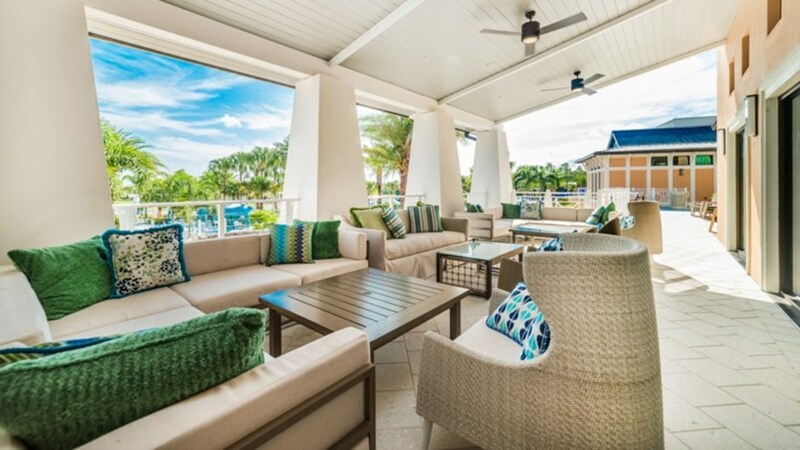 If you were to imagine your dream vacation, we are sure this home would be a part of it! 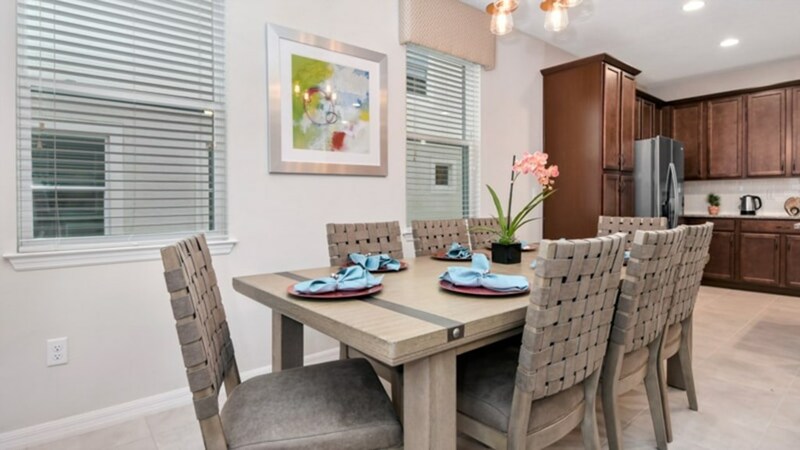 This five bedroom, 4.5 bath townhome is exactly what dreams are made of. 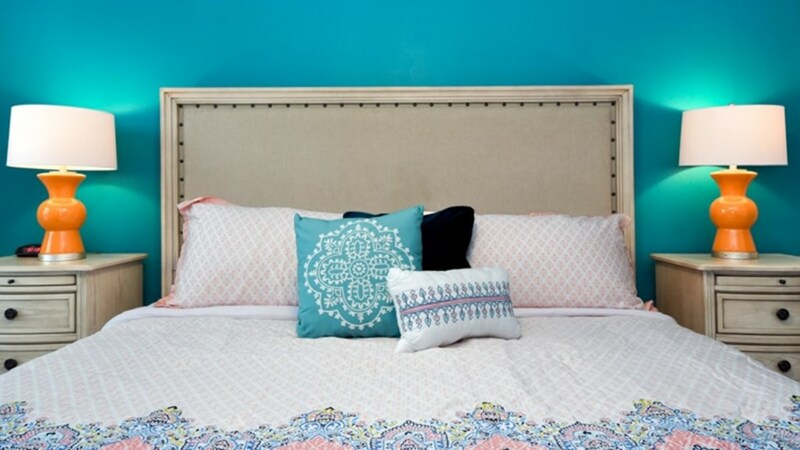 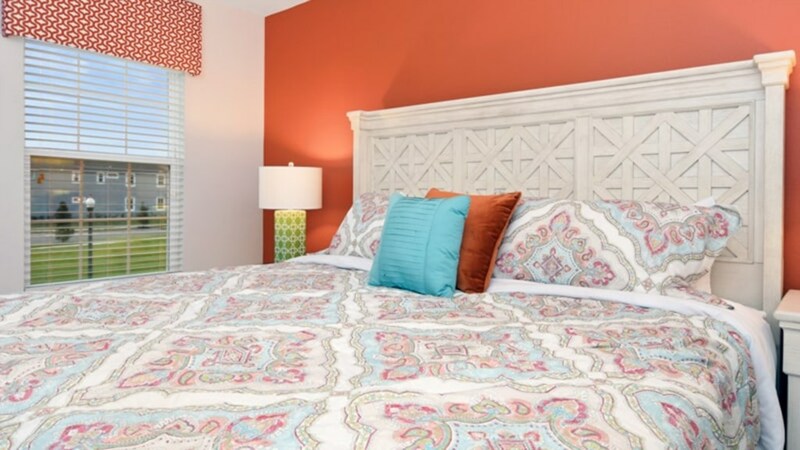 Decorated with bright colors, you’ll feel transported to a tropical oasis. 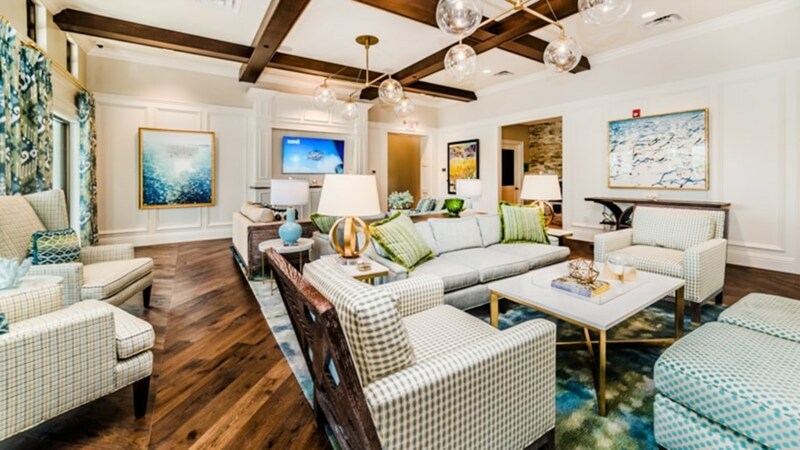 To begin, the living areas in this home are spacious and grand. 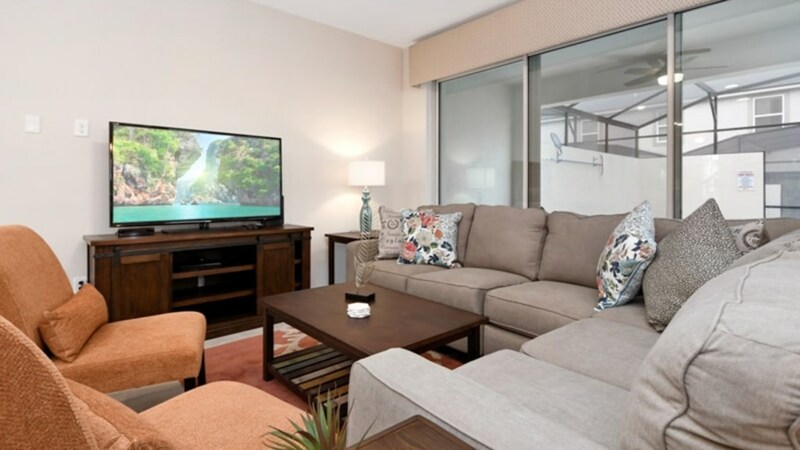 The main living room opens up to the kitchen and is outfitted with a plush couch, 55” TV and a gorgeous view overlooking the pool. 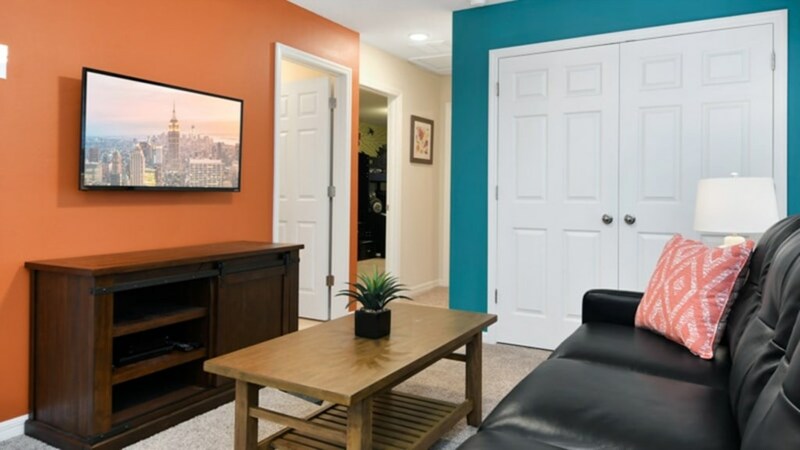 The second living space is the upstairs loft which has a 43” TV and another couch to snuggle into. 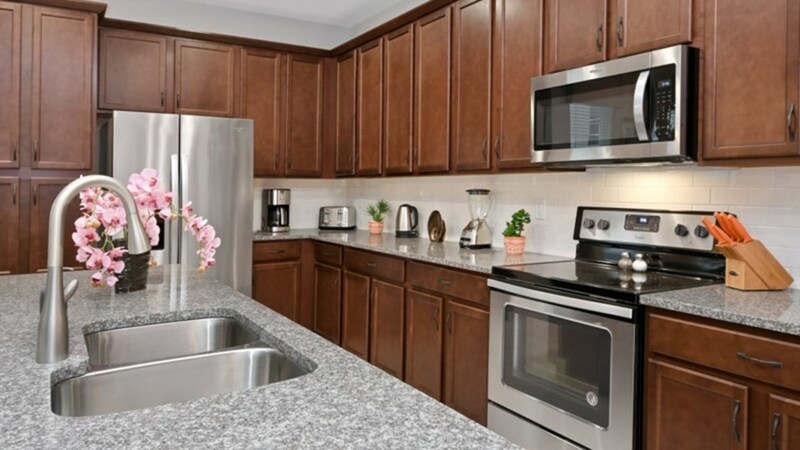 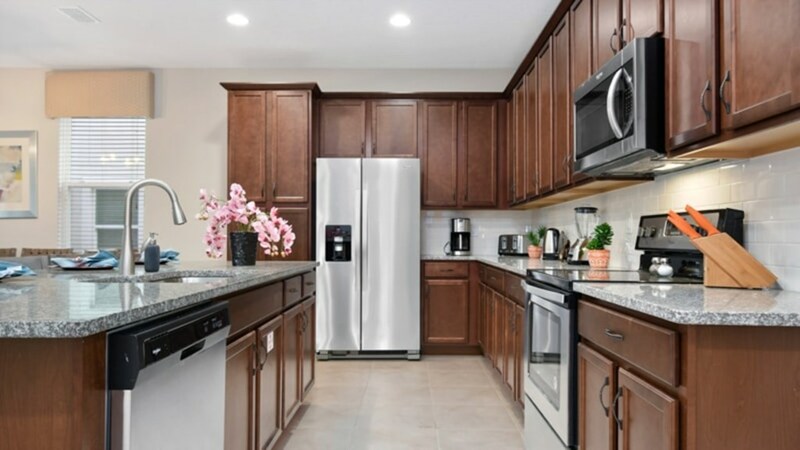 The kitchen is luxurious and updated with stainless steel appliances, granite countertops and top of the line cabinetry. 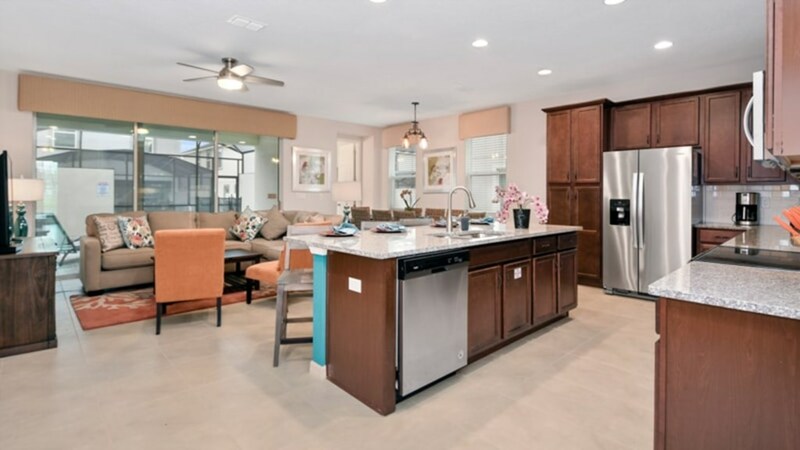 A huge island opens the space up to the living area making the transition between rooms seamless. 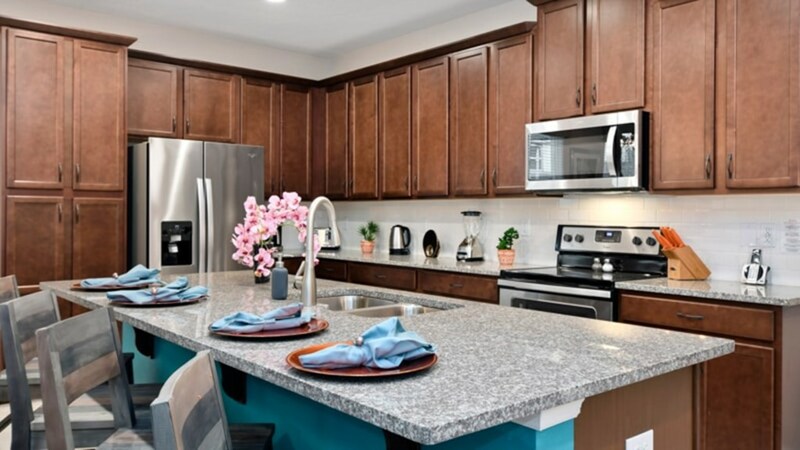 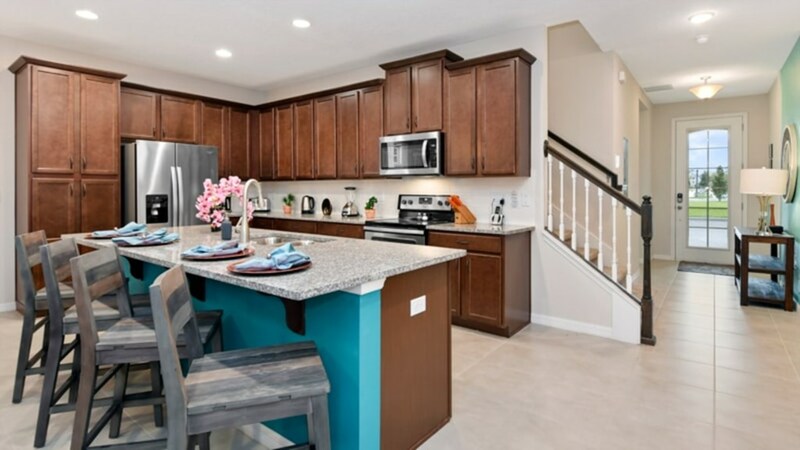 Cook your favorite meals here as you enjoy the luxury of this kitchen. 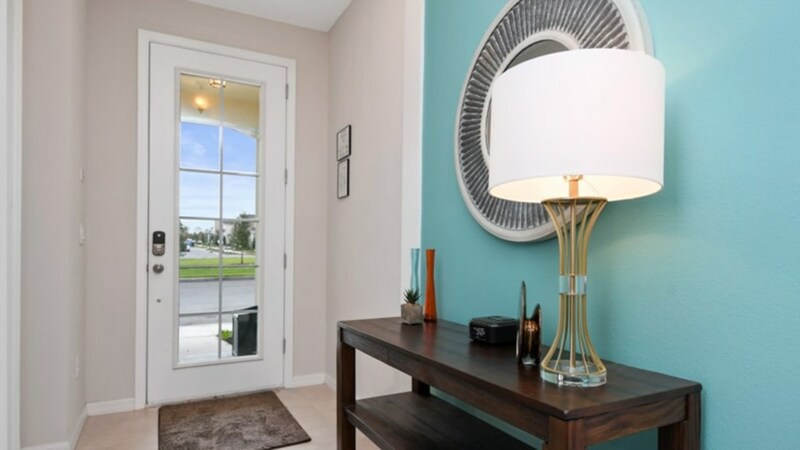 Each room in this home is thoughtfully decorated with you in mind. 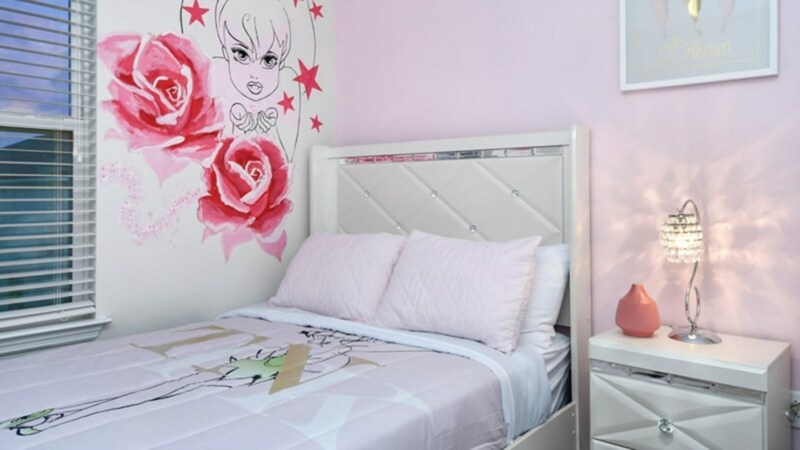 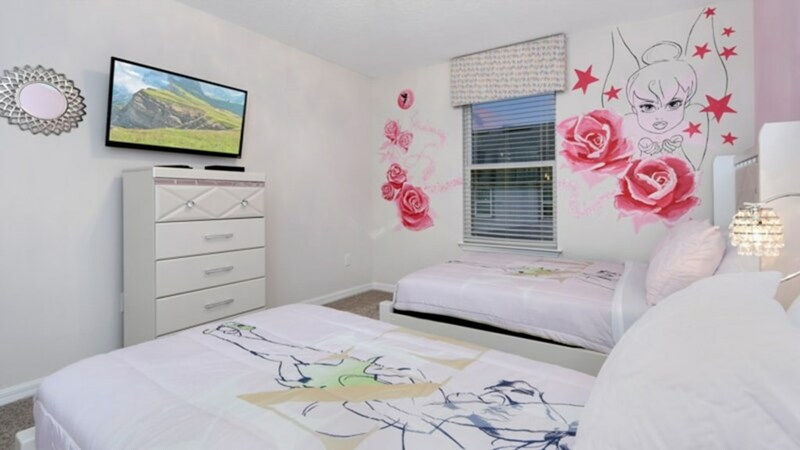 Three bedrooms have king beds, while another bedroom features two beds (a full and twin), in a princess themed room. 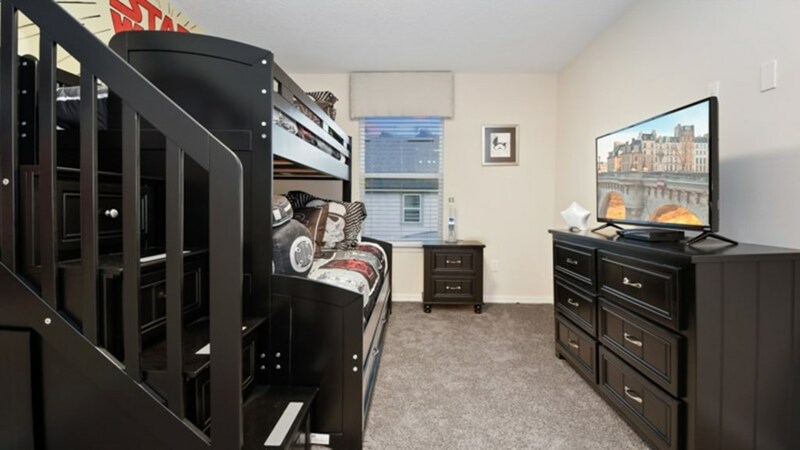 Lastly, another room has a twin over double bunk with a trundle for extra room. 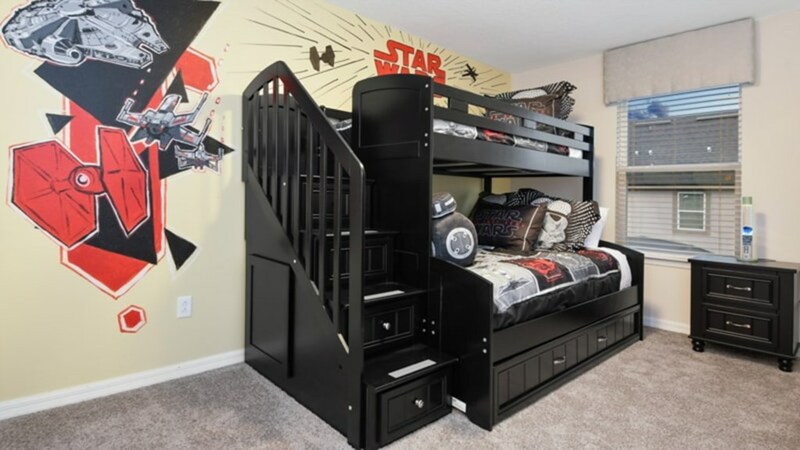 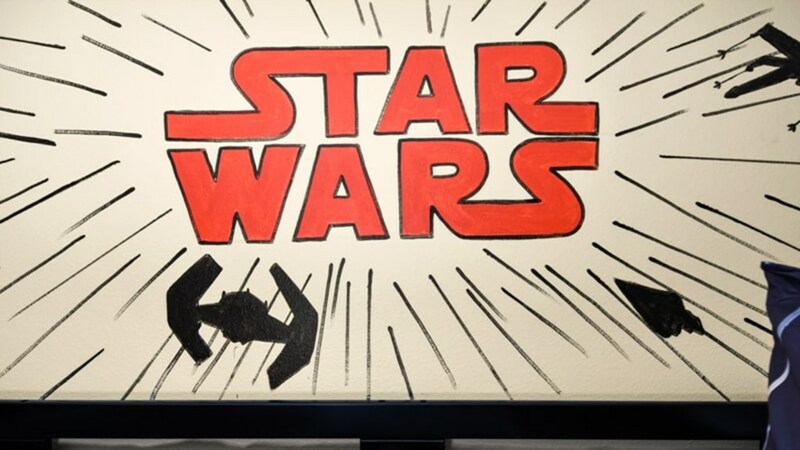 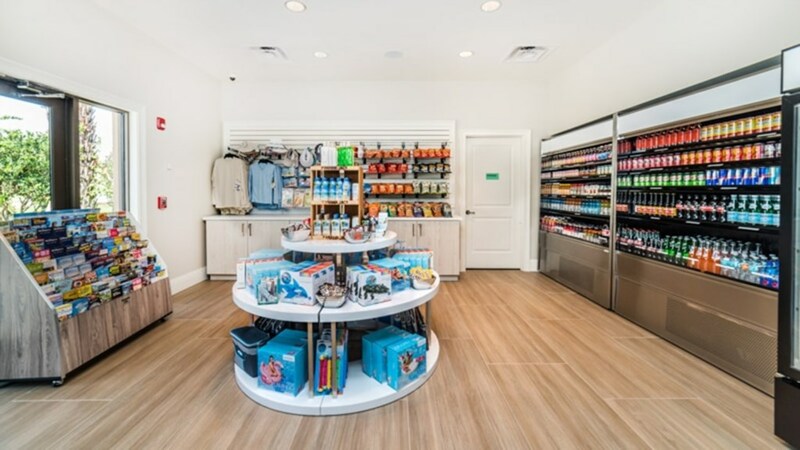 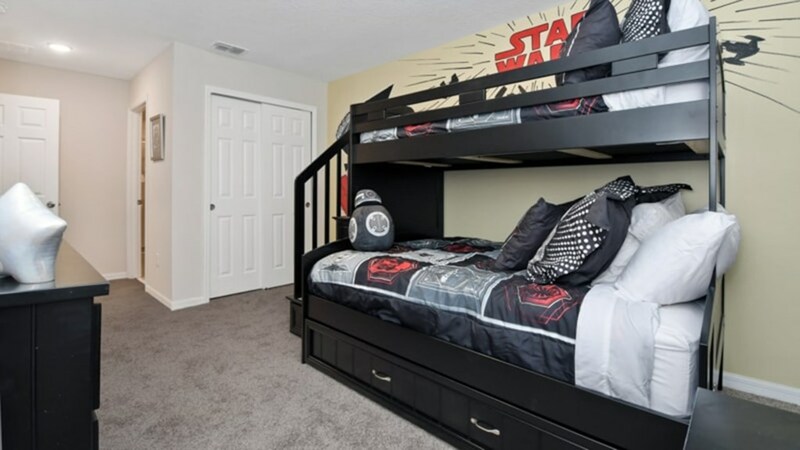 This Star Wars themed room will also be popular with the little ones! 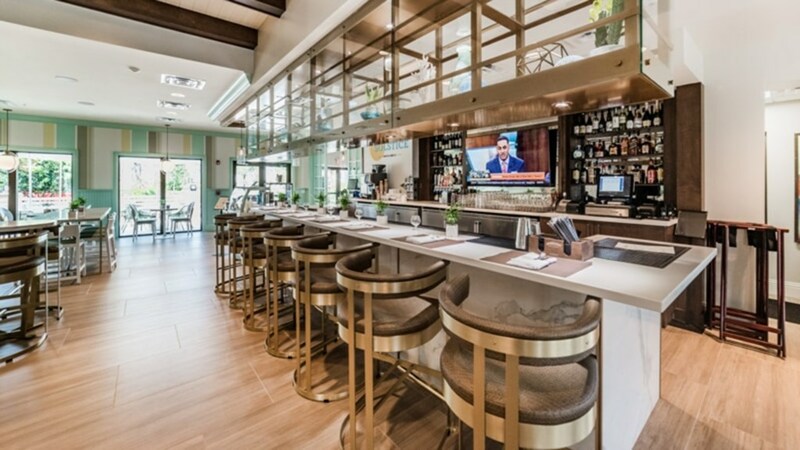 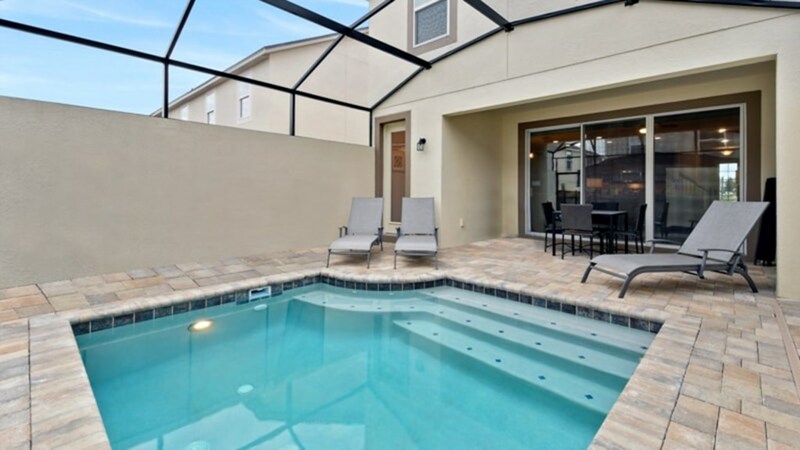 Be sure to enjoy the back patio too which features a splash pool made for a quick cool off. 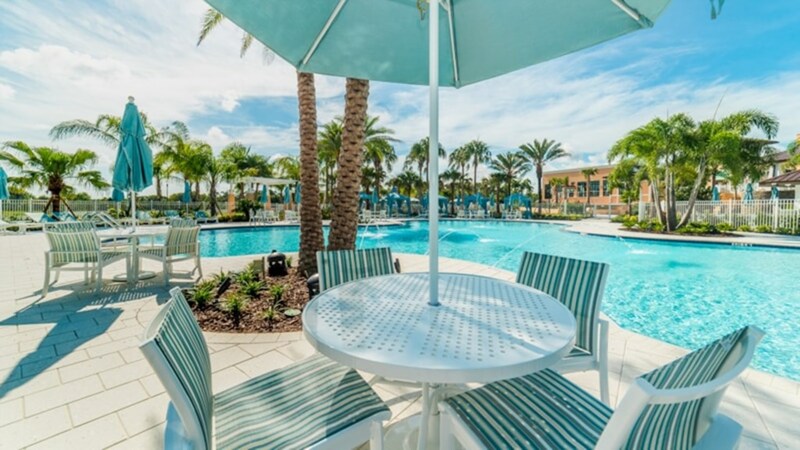 You can spend all day here enjoying the weather too. 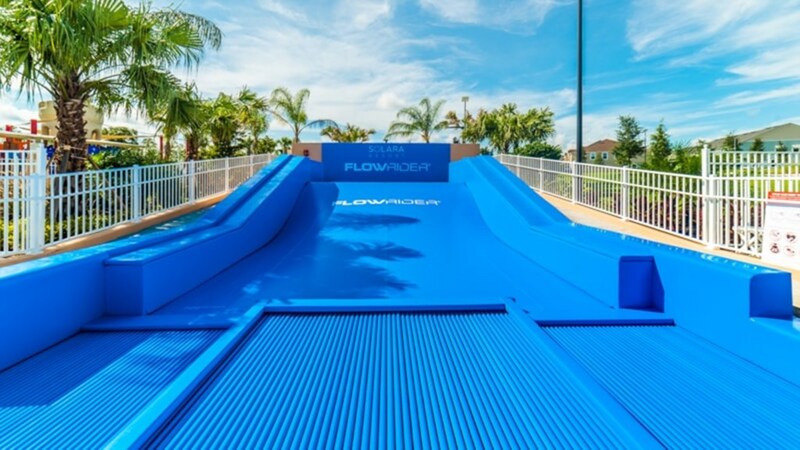 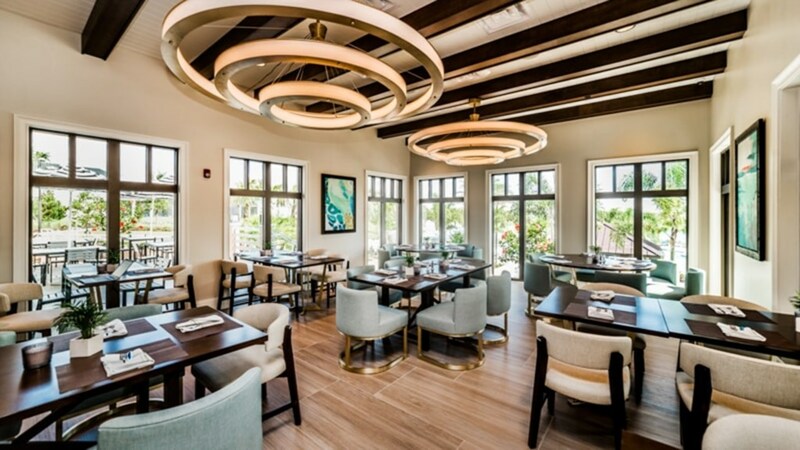 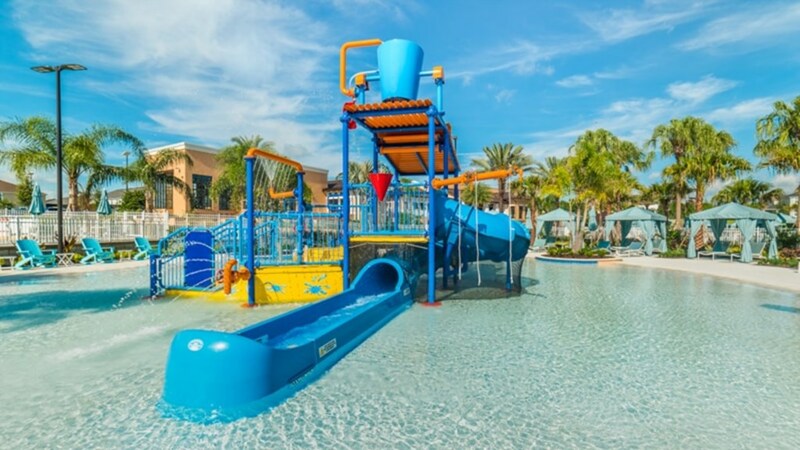 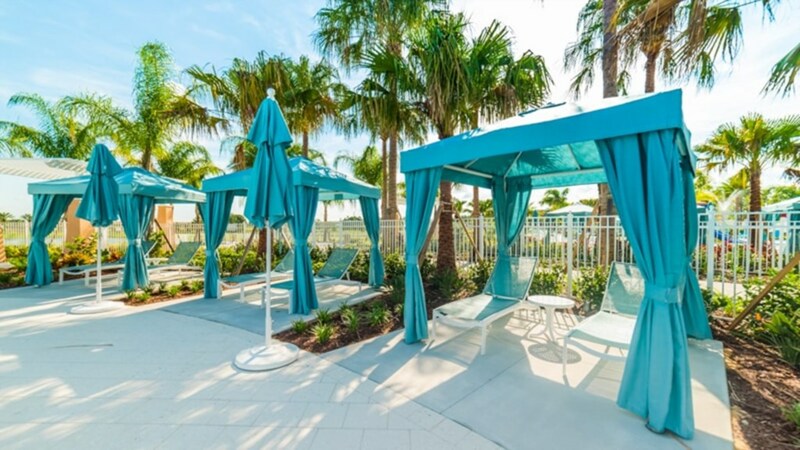 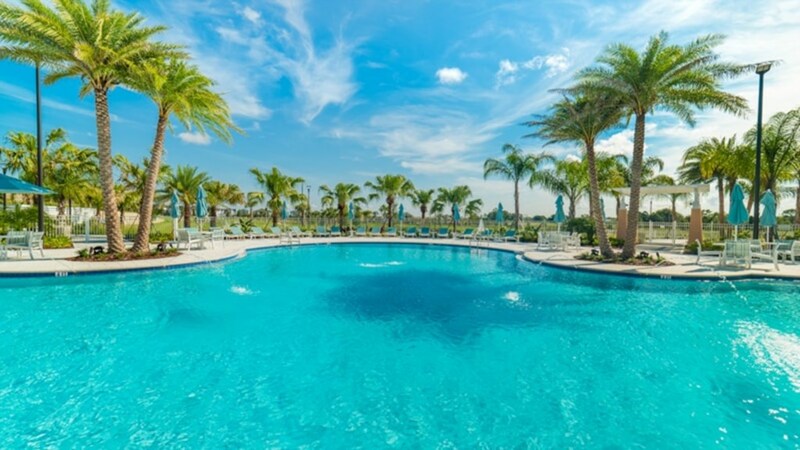 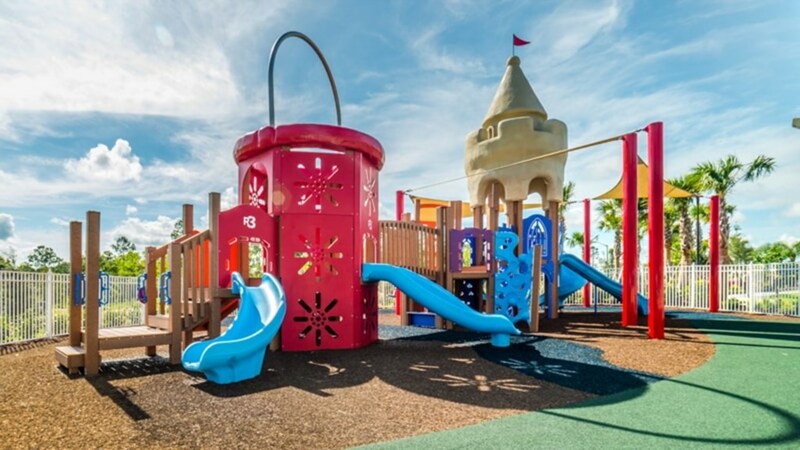 You can also head to the Solara clubhouse, which features a huge pool, game room, sport courts, slides and so much more. 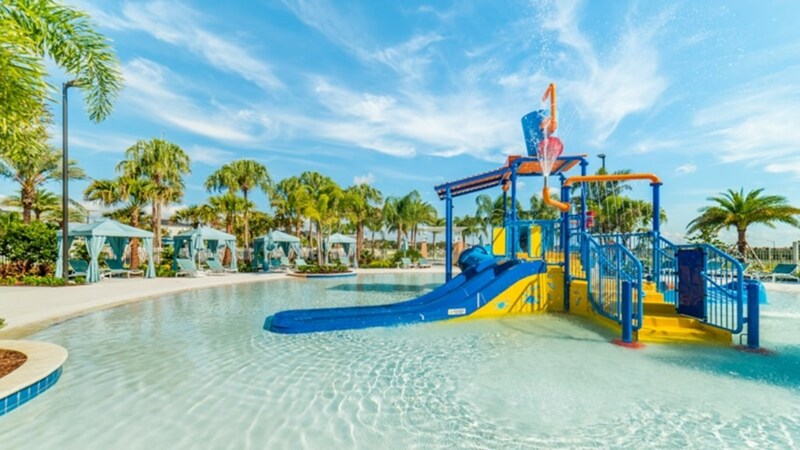 The entertainment is endless here and will have your family ready for the perfect night's sleep. 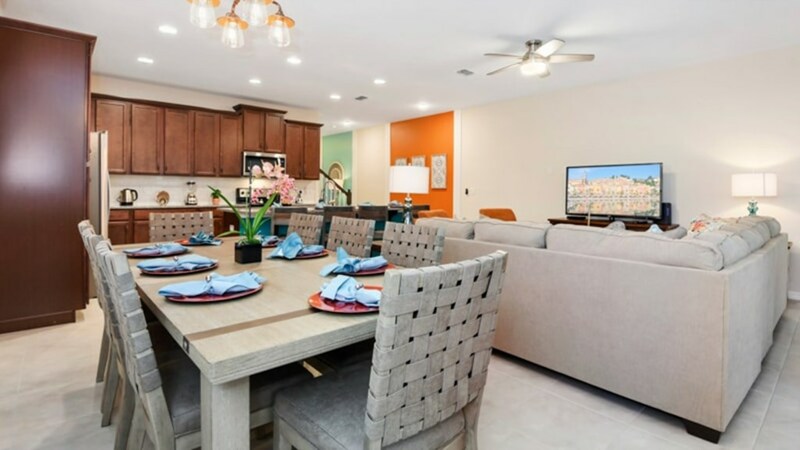 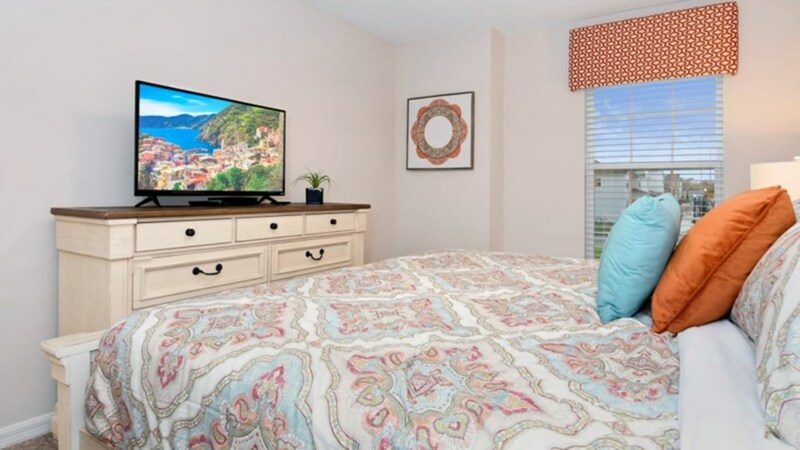 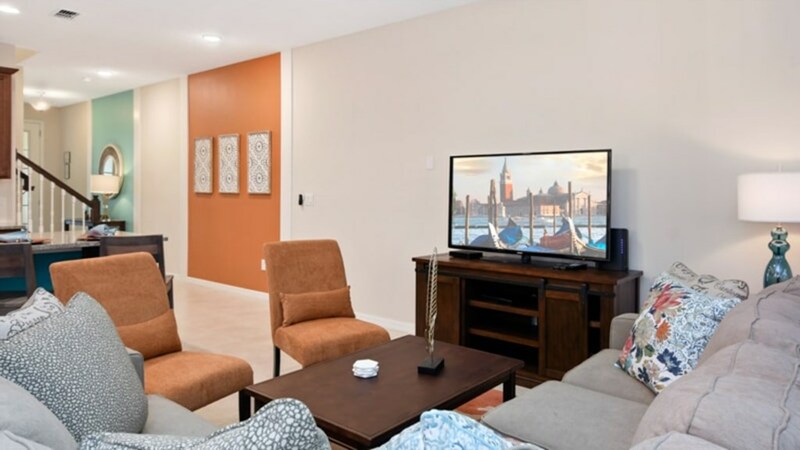 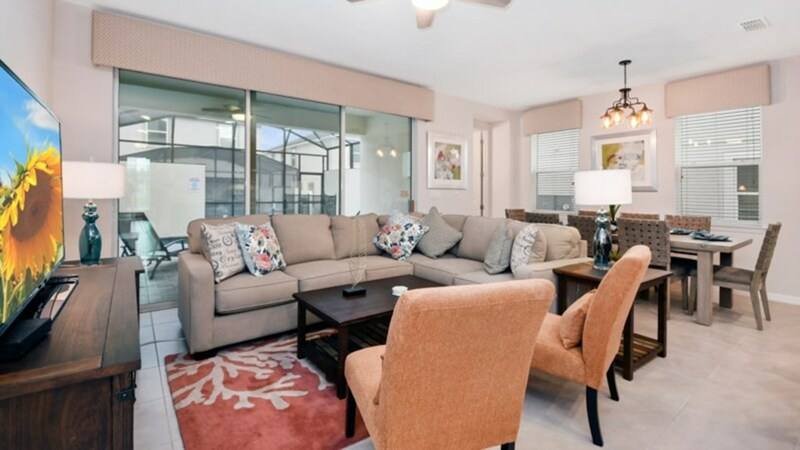 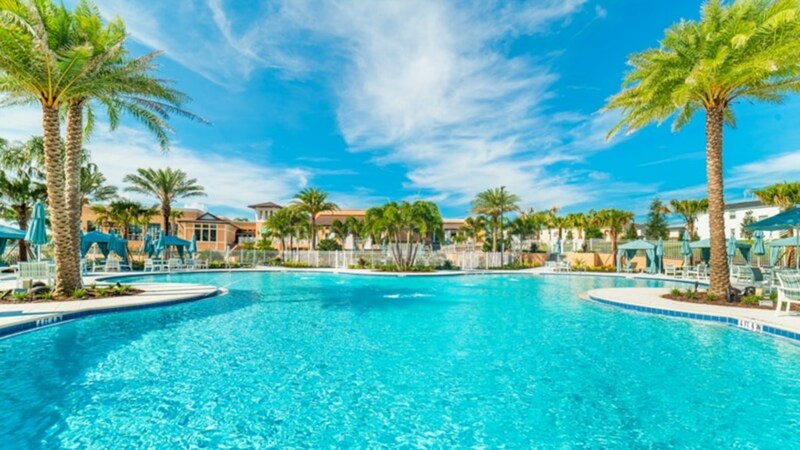 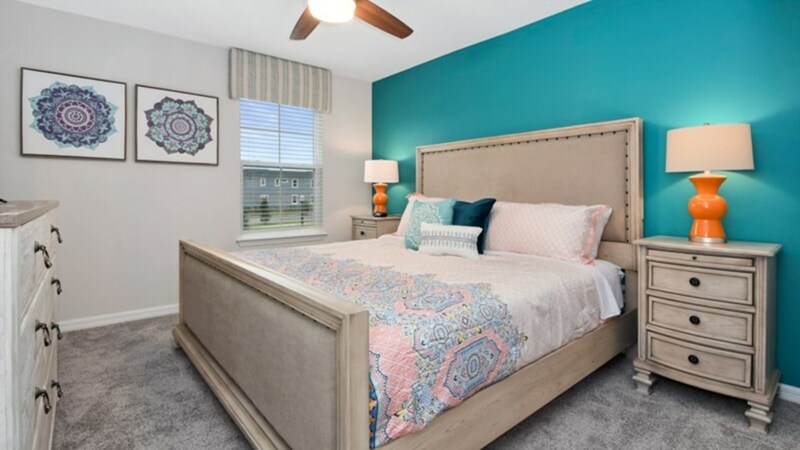 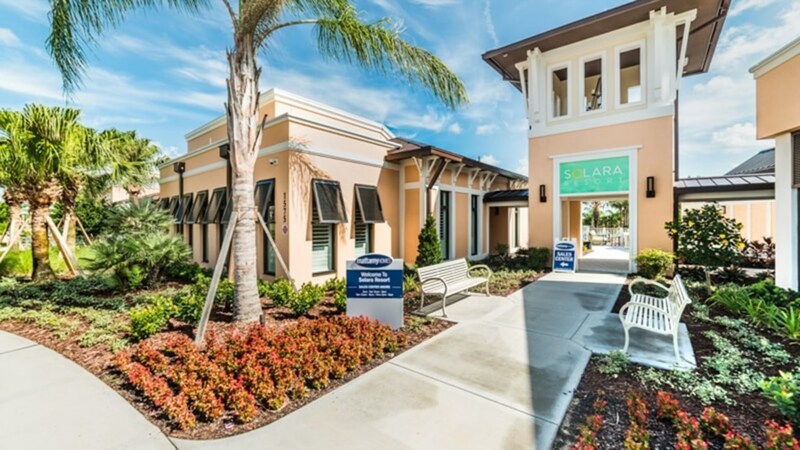 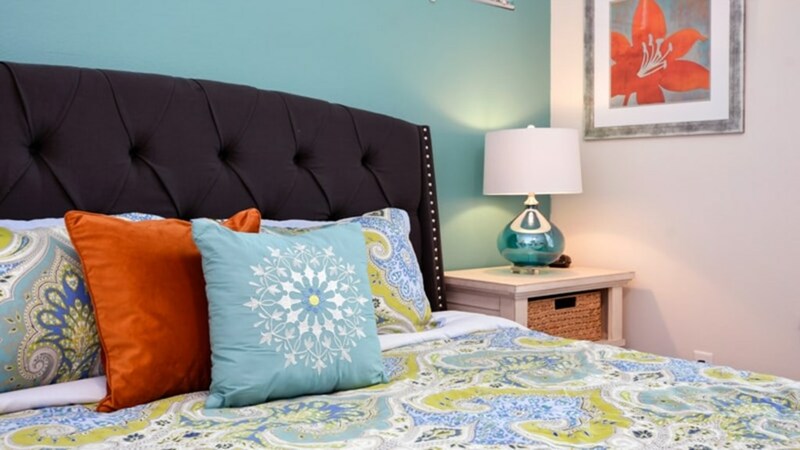 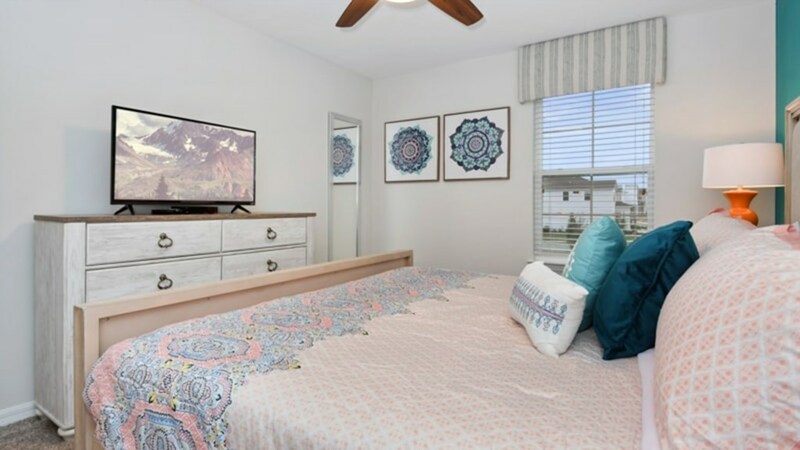 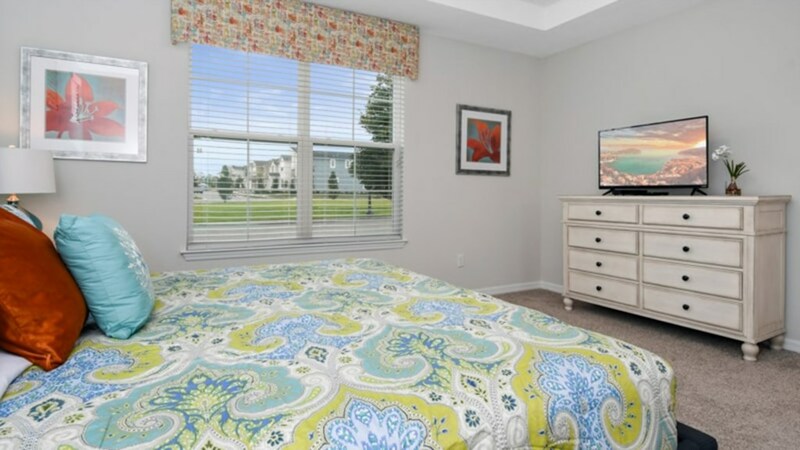 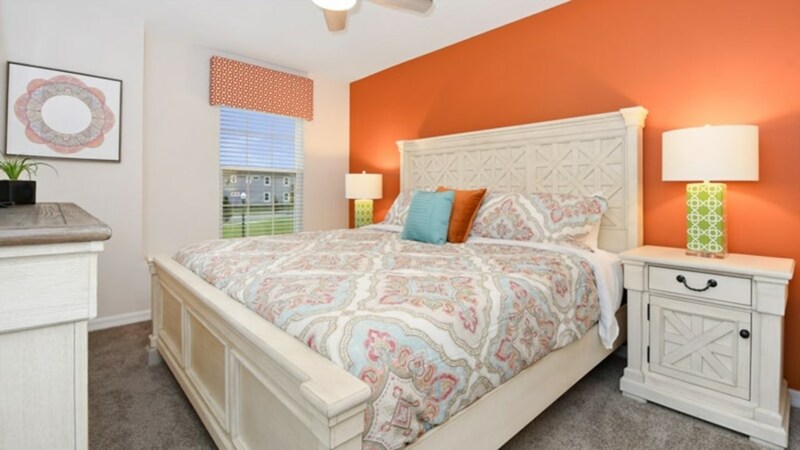 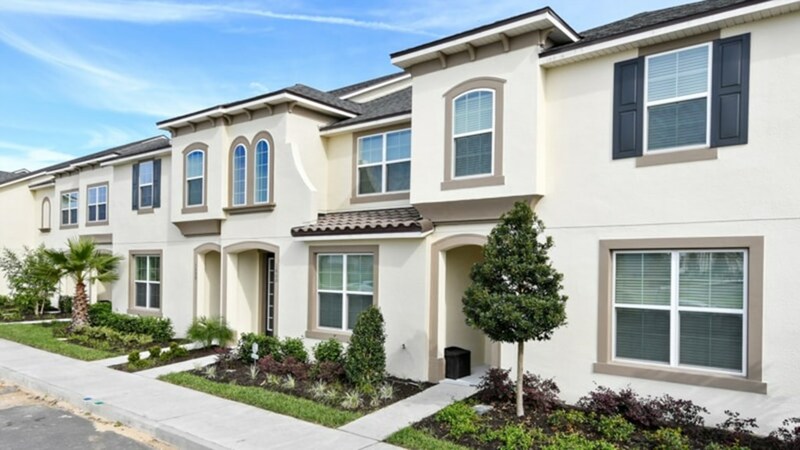 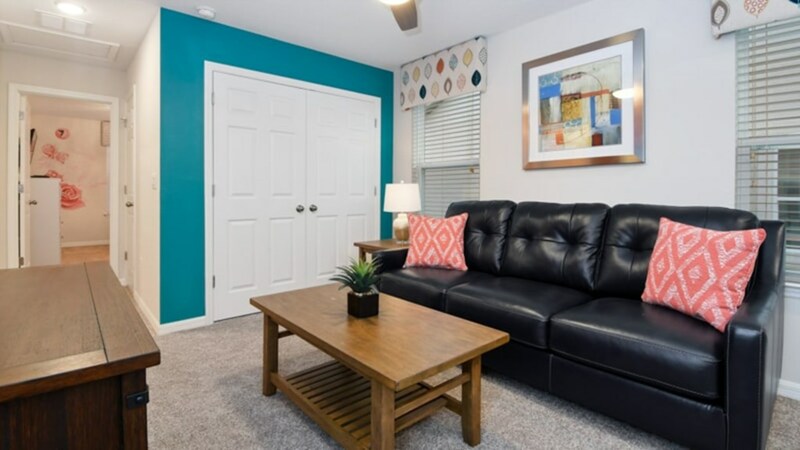 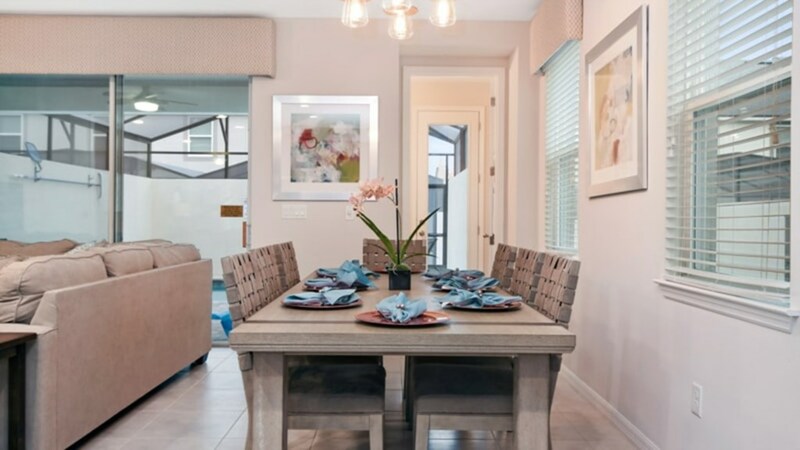 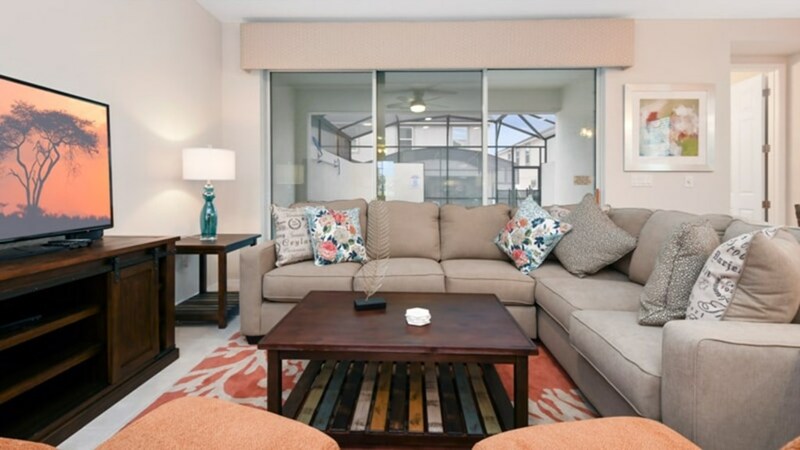 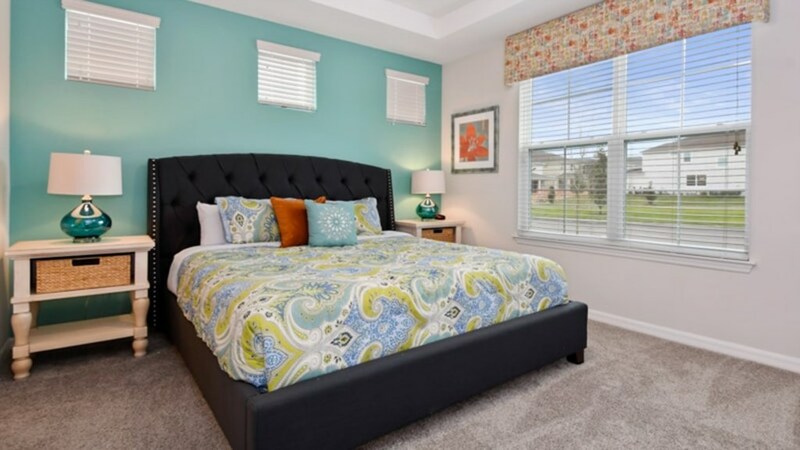 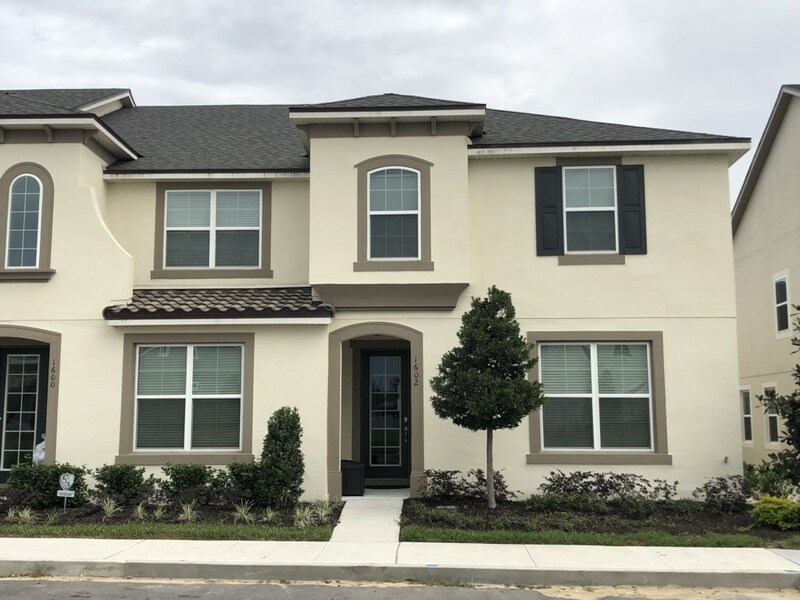 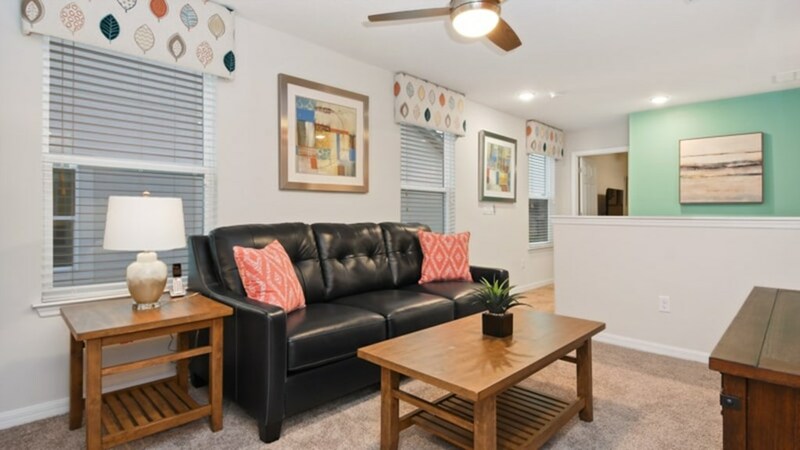 Book your stay today at this gorgeous Solara townhome.